Dr. Alfred H. Yuen works in the fields of exceptionalities, Scripture, and church teachings. He holds a PhD in theology and Ontario teacher’s qualifications in Religious Education and Special Education. 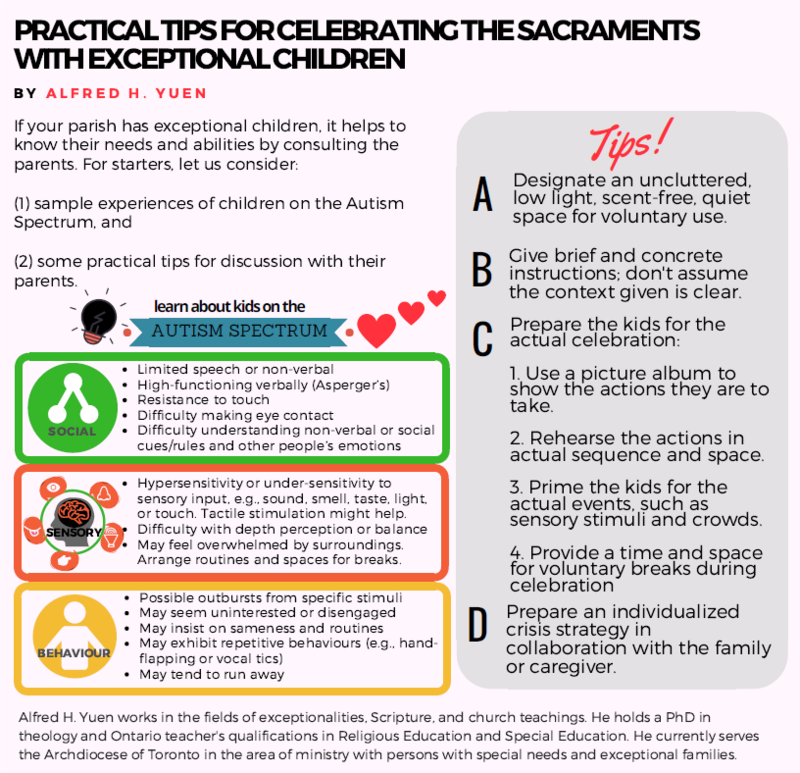 He currently serves the Archdiocese of Toronto in the area of ministry with persons with special needs and exceptional families. Your support is greatly appreciated. We also receive funds from Project Advance.